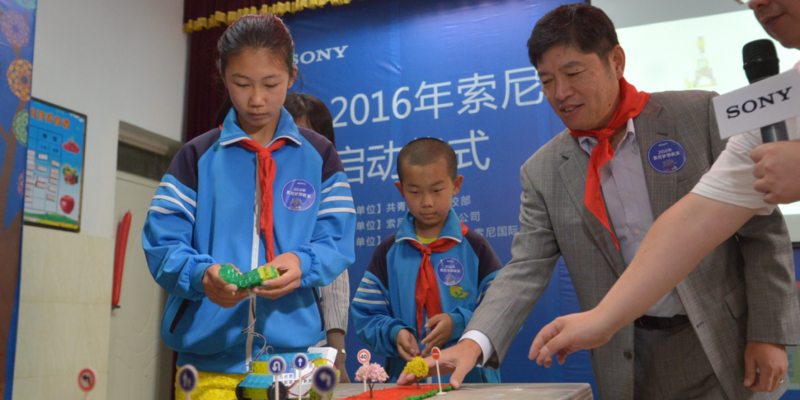 May 31st saw Sony China officially launch the 2016 Sony Dream Classroom project in Beijing. Through this project, Sony will donate projectors and other classroom tools to 25 primary schools across the county. The event was held with support from the Sony ExploraScience museum and Sony Global Education, both aiming to support children’s dreams of science and technology and inspire their enthusiasm for innovation. Over 58,000 students have taken part in the Dream Classroom project since 2013. 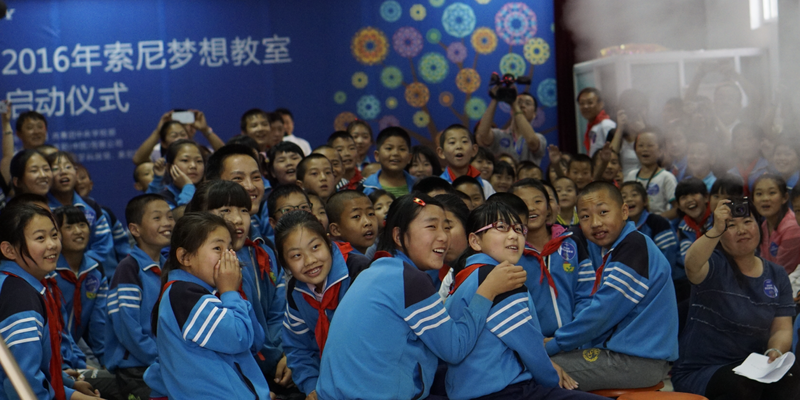 Since the Sony Dream Classroom project was first launched in 2013 it has built 81 classrooms in 57 cities all across China. Over 58,000 students have used the classrooms over the years, while over 4,000 teachers have been able to take advantage of the cutting edge technology while delivering their lessons. A real emphasis has been on improving teaching conditions in the remote and less developed areas of China, helping to ensure children can get access to the same high-quality facilities that students in some other cities may be accustomed to. Meanwhile, the Sony Dream Classroom project is also helping to enhance the teaching software used in schools by introducing Sony-style scientific classes, showing students all new ways of approaching problems. Sony Global Education joined the SDC project for the first time this year, introducing KOOV, a robotic programming kit for STEM education. KOOV is Sony’s first educational robotic kit for young learners. Bringing together how-to-code software with an array of transparent colored blocks, sensors, motors and a controller, the KOOV core. By using their imagination with blocks, sensors & motors to build different creations, then adding code, children can make their own unique connected robots. During the public science class, guests and children worked together to build KOOV blocks into a small car, then held an interactive obstacle race between two teams and their hand-coded automobiles. Sony ExploraScience performed some exciting experimental shows, a real feast for the eyes for both teachers and students. With only three pieces of paper, students made a speedy boomerang; a cool cloud cannon put together with an ordinary tray and even a small cup designed to bear a 100,000-volt high-voltage static electricity charge! After the project started, it was also announced that this summer, Sony will call on college students in 20 universities nationwide, to take part in the SDC project as Dream Messengers. The students will build their own Sony Dream Classrooms in the form of teams with Sony’s support. Sony China will provide funding and equipment, as well as science lesson training for participating college students, with the aim of establishing a further 20 dream classrooms.